According to Kantar Worldpanel ComTech, sales of the Apple iPhone 5 were strong enough over the 12 weeks through November 25th to propel the Cupertino based firm's share of the U.S. smartphone market to 53.3% The Apple iPhone 5 and its larger 4 inch screen (up from 3.5 inches on previous models) had been taking business away from Android in the States as Apple showed a year-over-year rise of 17.5% over that three month period vs. a drop of 10.9% for the green robot. Also hit hard by the strength of Apple iPhone 5 sales during the same period was RIM. For the 12 weeks ended November 25th, the U.S. market share for BlackBerry branded handsets had slumped dramatically to 1.4% from 7% the previous year. The loss in market share for Android and RIM during the period accounts for all of Apple's pick up in market share during the same time. A large percentage of BlackBerry users have decided to move on rather than wait for the introduction of BlackBerry 10 next month. 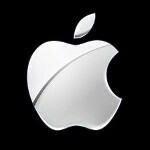 I read reports Apple are reducing iPhone 5 parts orders as sales are disappointing. There are iPhone discounts only after a few weeks after launch which were unheard of until now which also indicate poor sales. Perhaps most people who want iPhone 5 already bought it? So the spike in iPhone market share in US is only temporary! People finally realized that there's better phones. They probably only sold the amount they did that first weekend. Someone would be stupid to pick an iPhone over any other android phone. How can you call someone stupid for buying an iphone over an android phone. Just because you like android, doesnt mean everyone else should. I think Apple's done what Apple enthusiasts claim the other manufacturers are doing... they're reporting their shipping numbers. Those sales could also b causing a spike in iPhone purchases. I suspect what is happening is that there are some element of the sales numbers that reflect conversions from RIM. I think a larger part of the story is the impact of the golden handcuffs of the iEcosystem. As was pointed out to me right after the iP5 was released, someone who has $100 - $200 invested in apps is not terribly interested in moving to an alternative OS unless they are really alienated by iOS. Especially if their apps are not also available elsewhere. And, yes Apple is reporting shipments as sales. Thats true my gf works at radioshack she says when it came out was a fever but after 3 weeks it slow down dramatically. She say samsung s3 is outselling the ip5. 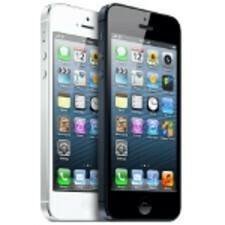 I am a sales manager for Radioshack and the craze for the iPhone 5 has fizzled out and people are more prone to purchasing an android device. Y do u think its not true? It's not like the iPhone is a piece of junk, or isn't popular. But where's their proof, and no I'm not a fan boy. There is no proof. Android forums are like fanboy circle jerks. Say anything critical about Android, and throngs of angry fanboys will descend on you (Same here, obviously). Say anything positive about Apple, and they start tearing out their hair and making up "facts." The fact is, this is not the first study that has come out in the last two weeks, and they all say roughly the same thing: Apple is having troubles in the financially strapped EU, and crushing it in the U.S.
http://www.engadget.com/2012/11/30/comscore-android-us-market-share-kept-growing-in-october/ The facts are that these are single quarter numbers, encompassing a new release, in a single country. There's a new release spike every time. The rest of the year, Android crushes iOS, even in the US. Here are the latest ComScore numbers, from October. Note that not only did Android retain a large lead over iOS, it grew more than iOS. 1. Please dont act like Apple fanboys are any better. 2. This article is about a 12 week period and comparing it to the same 12 week period from last year. Those are the facts. Its not overall numbers. 3. Look at the post above or below mine for the total numbers. Still a huge lead for Android. Thats why I said before....for Android fans, this is no big deal. For Apple fans....congrats for the increase in a 12 week period. Just taking away the initial weekend sales of iPhone 5 would show that Android is still selling better than Apple. Also, it's not just the iPhone 5, but the 4 and 4s are making a significant share for Apple here. As for your point about Europe - wake up, the whole rest of the world is seeing the Apple demise. Brazil for example is a growing economy with huge population and Apple dropped to amazingly insignificant 1.4 percent there. As a fellow American, I am ashamed of the people of my country sometimes. Iphonearena for sure. Probably isn't even true. if it was about an android iphonearena woudlnt even mention it. They still proving daily how biased they are. I for one is happy that someone else is buying the expensive iPhone. It will never be me as iPhone is a low value over price feature phone. Even if they are biased, which I do feel sometimes, this article isn't the reason (reviews are). Here, they are just doing their job. It's one thing to be invested in the Apple ecosystem because of the money you put into it, but when you get one just because everyone else has one, I just lose respect for you. I put a lot of money into it, but I have the note 2 now. I just synced everything to my iPad 3. I need to see more from apple if I'm to buy another iPhone, and even then it'd just b to compliment the android device I have. I'd love to see the stats on this. At my location we sell 15 to 20 4 and 4S devices for every 5, b/c people want the phones on the cheap. Could be different elsewhere, but what I see every day in my store paints a VERY different picture for iPhone sales. This is probably true or close enough. Honestly where I work, when we sell a smartphone 9 times out of 10 its either an iPhone 5, 4S or the GS3.